Editor’s Note: Under The Gun Review will be at the 2015 Rock and Roll Hall of Fame induction ceremony. This is the first in a series of preview pieces set to highlight this year’s ceremony. The 2015 Rock and Roll Hall of Fame induction ceremony, set to take place this Saturday in Cleveland, will undoubtedly play host to some of the most star-studded jams in rock and roll music. Rumors are flying around of collaborations from John Mayer and Gary Clarke Jr., Beck and Karen O, Paul and Ringo, Joe Walsh and Dave Grohl, plus many, many more. I’m personally hoping to see Tom Morello shred the lead to “Octopus’s Garden,” but I’m not picky. 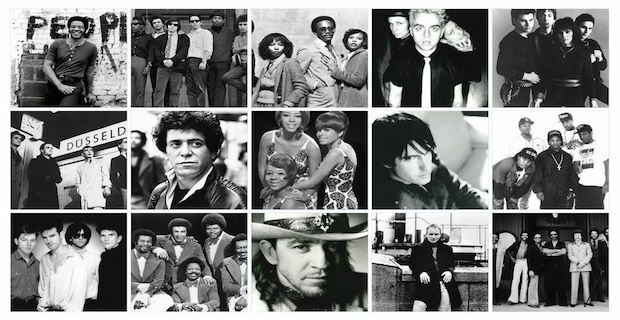 This year’s inductee’s include Green Day, Ringo Starr, Lou Reed, Stevie Ray Vaughan and Double Trouble, Bill Withers, Joan Jett and the Blackhearts, and The Paul Butterfield Blues Band. The Rock Hall ceremony, which is in its 30th year, is kind of like watching your record collection get together and jam your favorite songs. Needing a refresher on the best acts of the last half-decade? We’ve picked our favorite performances from 2010 to 2014 and listed them below. If we missed your favorite performance, let us know in the comments below. Genesis, man. Get spaced out with this one. Was school ever really in session for you, Alice? Either way, a stellar and timeless anthem. Watch him rock his staple hit with an adorable choir of school children in the video above. Watching these modern day cross-genre superstars jam with Slash, Ronnie Wood, Billie Joe Armstrong and George Clinton is exactly the type of thing that makes this annual ceremony so unforgettable. How the hell did it take RUSH this long to make it into the hall? Who knows? Either way, here’s Geddy, Alex, and Neil jammin’ two classics out at the ceremony a few years back. Watch two of the founding members of grunge’s most heralded act put a unique twist on an old fan-favorite. Alex Lifeson’s acceptance speech should have topped this list. Poignant indeed.